“Fresh Thinking, Healthy Eating” is the mindset behind a new fast casual restaurant that is setting up shop in Downtown Duluth. Pita Pit plans to open their first Duluth location in the new Maurices headquarters at 425 West Superior St. in November. Pita Pit was founded in 1995 in Canada by John Sotiriadis and Nelson Lang. The duo wanted to open a fast casual restaurant that offered a healthy alternative with a Mediterranean inspired menu. In just 15 years Pita Pit grew from one single location to over 500 locations in 11 different countries. In Minnesota the company currently has three locations including one at the Mall of America in Bloomington and two others in Mankato and Brooklyn Park. Think of Pita Pit as the Subway of the Pita world. Customers begin by selecting a type of meat, such as philly cheesesteak, falafel, chicken souvlaki or other Mediterranean inspired meats. From there they can add toppings by choosing from a selection of cheeses, vegetables and sauces. 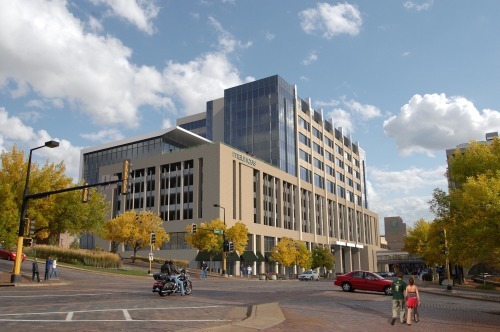 When Pita Pit opens in November the street level of Maurice’s brand new headquarters will be completely leased with Blue Cross Blue Shield and Minnesota Power Employees Credit Union filling the remaining spaces. 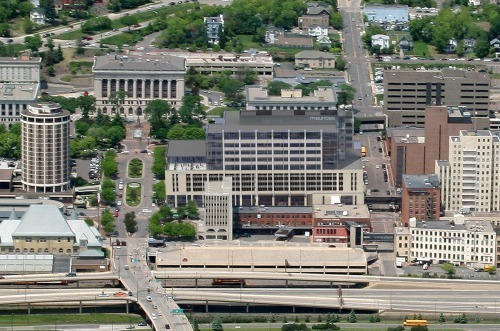 One 6,100 square foot office or retail space remains on the skyway level.